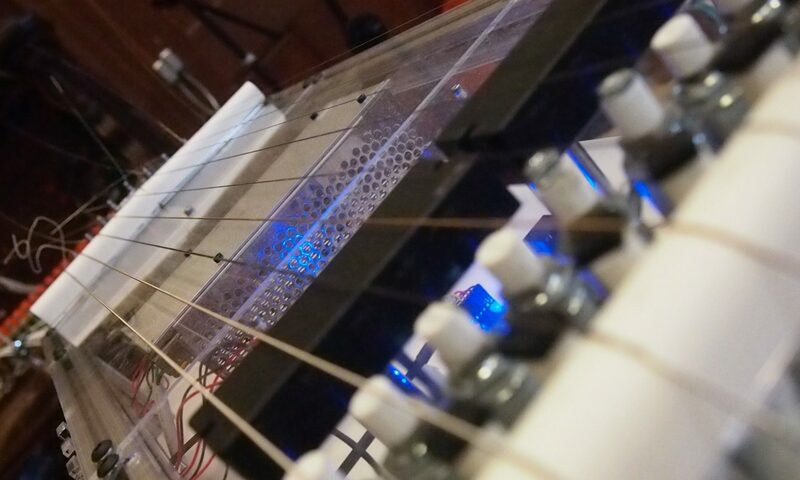 The Robotic Whamola is a monochord bass instrument that features an automatic string tensioning mechanism, which varies the pitch produced, as well as three string actuators each of which can be configured as either a striker or a damper. Sensors that detect motor position, string vibrating frequency and string tension are incorporated in order to achieve accurate tuning. V1 of the instrument was developed from January to March 2017; V2 was developed starting in May 2017. Project team: Sean O’Neil, Benjamin Mattiuzzi, Ian Gelman, Scott Barton.